Hoop is a graduate of the Air Force Academy and served as an intelligence officer for 8.5 years. 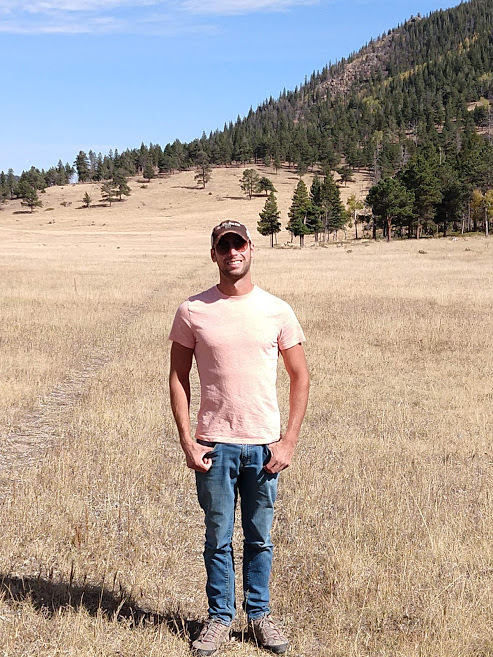 He transitioned in 2017 and decided to relocate to Fort Collins, CO to start the next chapter of his life as a mortgage banker with The Federal Savings Bank. As a veteran working at a veteran-owned company, Hoop specializes in helping veterans and non-veterans alike achieve home ownership. Hoop is a board member of Vets4Life, 501(c)3, and is active with various veteran-related causes; he is also an active member of the Veterans of Foreign Wars Post 1781 and serves as their Chaplain. Furthermore, Hoop's passions have led him to also take on a role as a local foster parent, an assistant scoutmaster for Fort Collins Troop 12, and as a member of Fort Collins Toastmasters Club 375. Originally from Guam, Hoop came to Fort Collins because he fell in love with Colorado during his time at the Air Force Academy. His hobbies include Spartan Races, traveling, hiking, camping, snowboarding, and of course, volunteering. He joined the club to become more involved in the local community while also working to contribute to youth-related causes. Luke is a Colorado native who received a bachelor’s and graduate degree in Accounting from Colorado State University. In July 2017 Luke formed Level Real Estate, a purpose driven real estate firm focusing on investment opportunities that enhances underutilized, small to mid-sized commercial properties that are well located and improve the communities they are located. Prior to forming Level, he served as the Senior Acquisitions and Development Manager for Alberta Development Partners, LLC in charge of sourcing new acquisition and development opportunities. Prior to joining Alberta Development Partners Luke was the Regional Manager for NewMark Merrill Mountain States. Mr. McFetridge supported the growth of the Mountain States division of NewMark Merrill Companies helping grow the division from 300,000sf to more than 2,000,000sf. He also helped NewMark Merrill complete their largest project to date in the redevelopment of the former Twin Peaks Mall into the revitalized Village at the Peaks, a $90M, 500,000sf lifestyle center. Luke began his career as the General Manager for The Human Bean Drive-Thru, a drive-thru coffee franchise. He started with The Human Bean in 2004 and helped with the ground up development of the Oregon based franchise in Colorado and assisted with growing the startup company to over 35 employees and 6 locations in just over 3 years. Alex is the Founder and President of a local grant writing company called Arula, Inc. Arula's business model is specifically designed to help non-profits identify funding sources and implement a better plan to alleviate financial burden for long term success. Arula sets itself apart by collecting the majority of the fee only after the successful award of grant funding to a nonprofit. This takes much of the financial burden and stress off the client by sharing it among both partners. Originally from Connecticut, Alex came to Fort Collins for the access to nature and the feeling of community. His hobbies include volunteering, traveling, football, ropes courses, and hiking. He joined the club to work along like-minded professionals for the betterment of local children while better getting to know his new community.